"The county is named for Capt. Henry Stevenson Brown, a company commander in the battle of Velasco, a delegate to the Convention of 1832, and one of the first Anglo-Americans in the area. "A group of Anglo-Americans, led by Capt. Henry Stevenson Brown entered the region in 1828 to recover livestock stolen by Comanches. Land surveys were made in 1838. 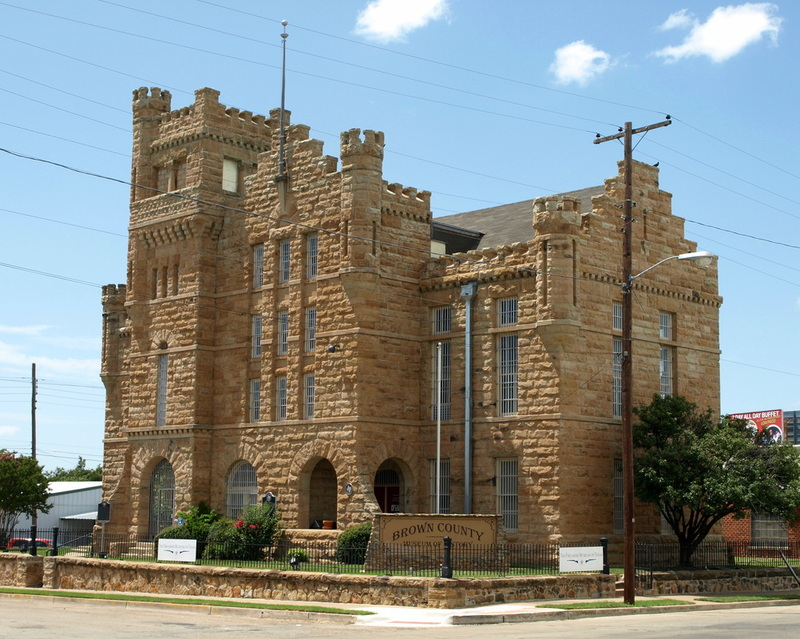 "The county developed slowly between its founding and the 1870s, primarily because conditions were not secure for settlement until the late 1870s or early 1880s, as settlers were harassed by Indians and white predators for twenty years after the county was formed. 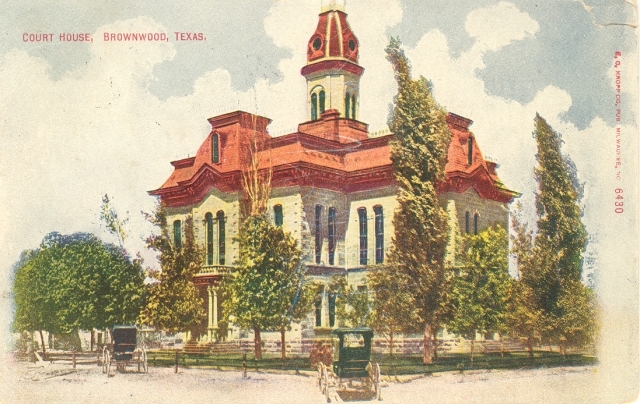 "The new railroad connections helped Brownwood to prosper, since the absence of railroad facilities in southern Eastland and Callahan counties led farmers from those areas to Brownwood to do their marketing." 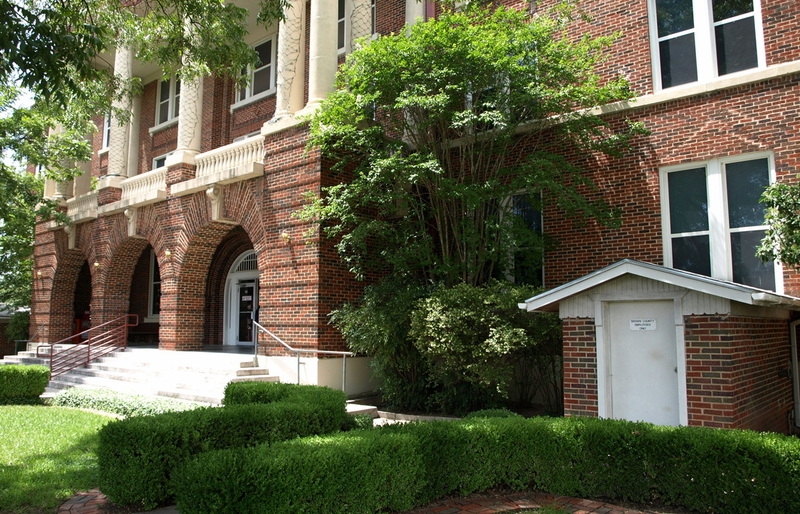 I visited Brown County and photographed the courthouse in Brownwood on July 24, 2010. 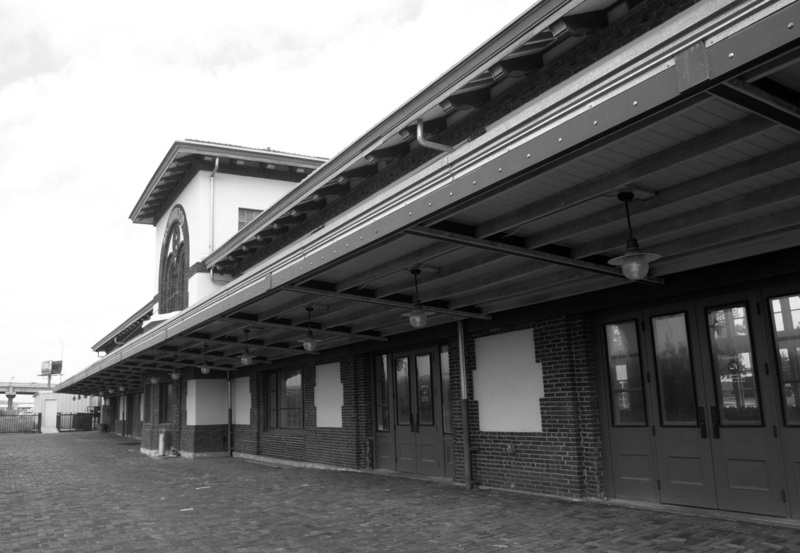 The Santa Fe Railroad Station, Brownwood. 1909. The last passenger train through Brownwood left the station on July 21, 1968. 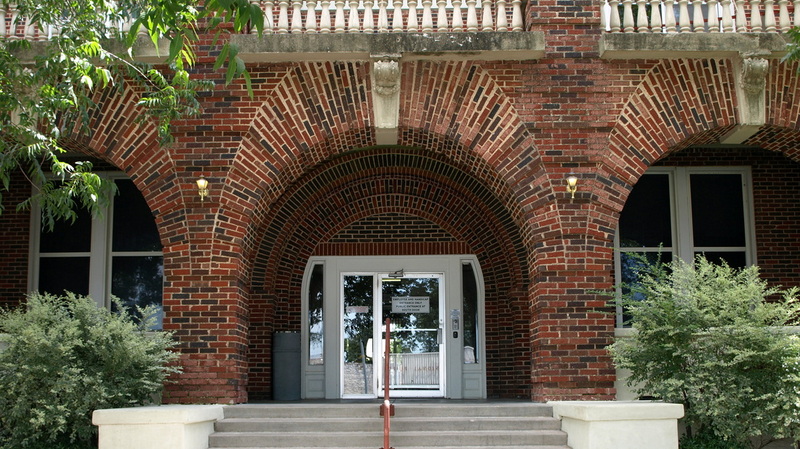 The Lehnis Railroad Museum in Brownwood. The THC website doesn't attribute the 1884 courthouse to an architect. However, given the date and the overall massing and stylistic elements, I'm inclined to believe this is yet another design by Houston architect Eugene T. Heiner. 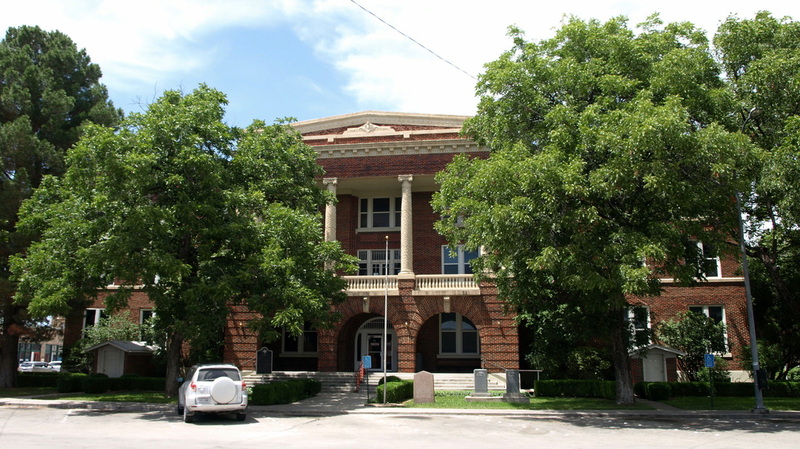 Heiner also designed the 1889 Runnels County courthouse in nearby Ballinger, Texas. 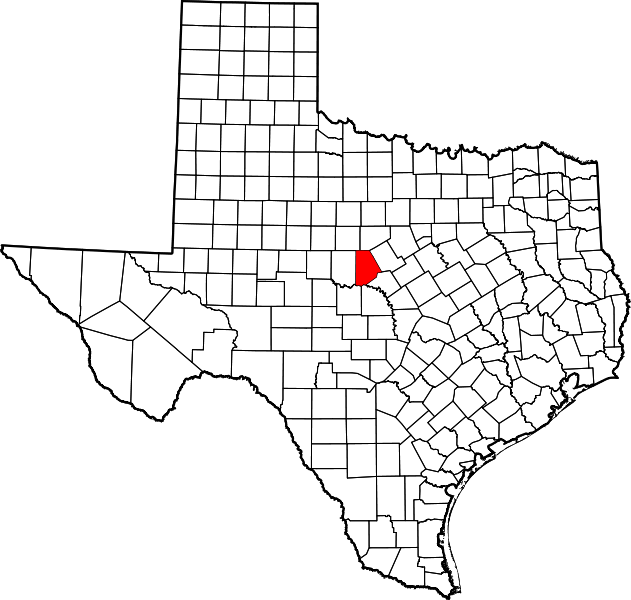 However, it could also be a Ruffini design: see Blanco County. Shaded by mature trees on a summer afternoon -- the 1917 Brown County courthouse. 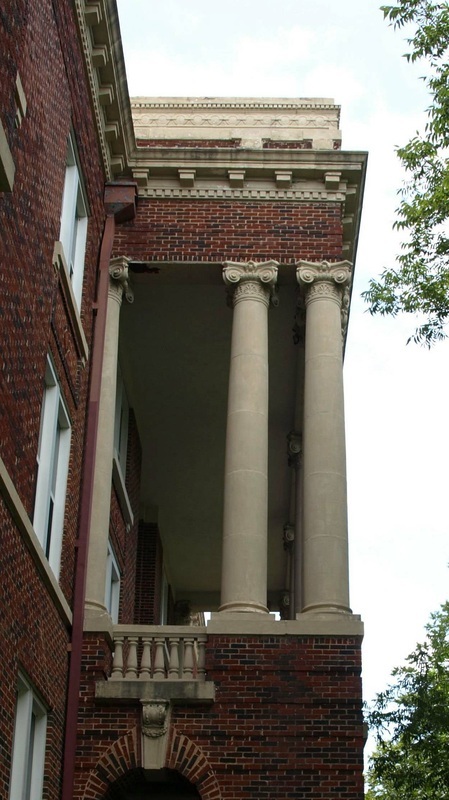 This classical revival design from 1917, is actually a re-modeling of the 1884 building, believe it or not. Only the vault from the 1884 building survived. 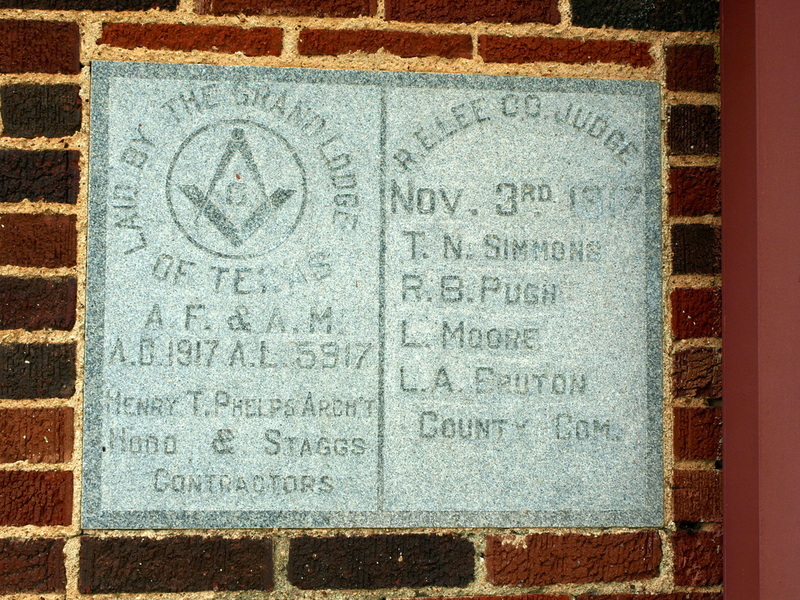 The courthouse cornerstone identifies the Architect: Henry T. Phelps. 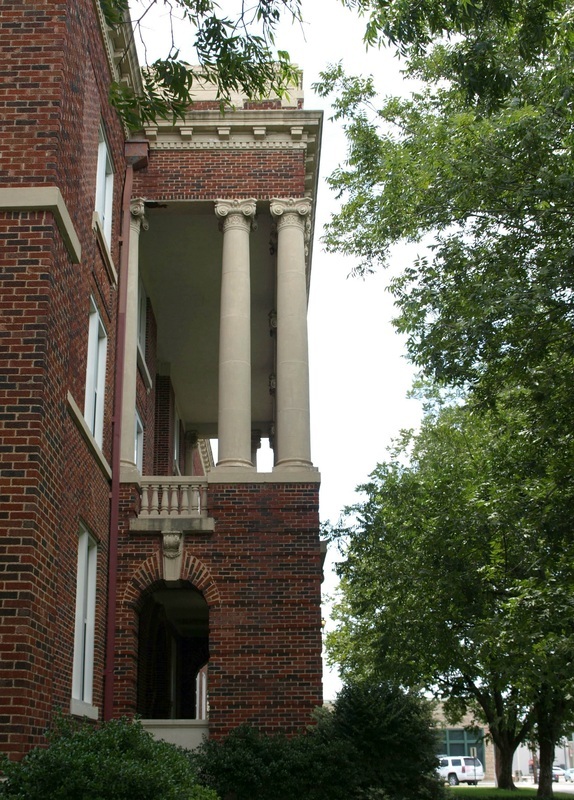 The west facade include a pair of additions, one on each side of the building. The sign on the door states "Brown County Employees Only." 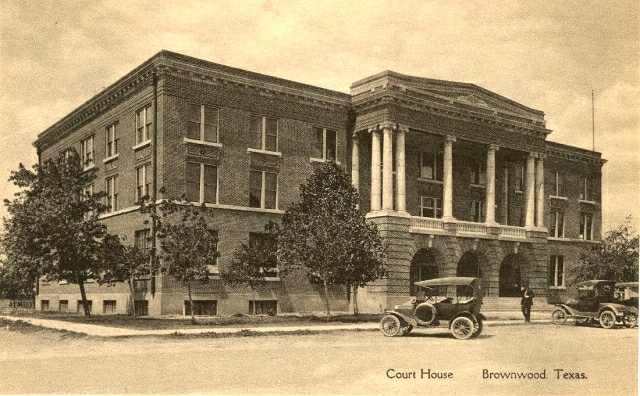 The Brown County Jail, 1903, attributed to Martin,Moodie & Co.; Youngblood Brothers, by the National Register listing. It's now a museum. 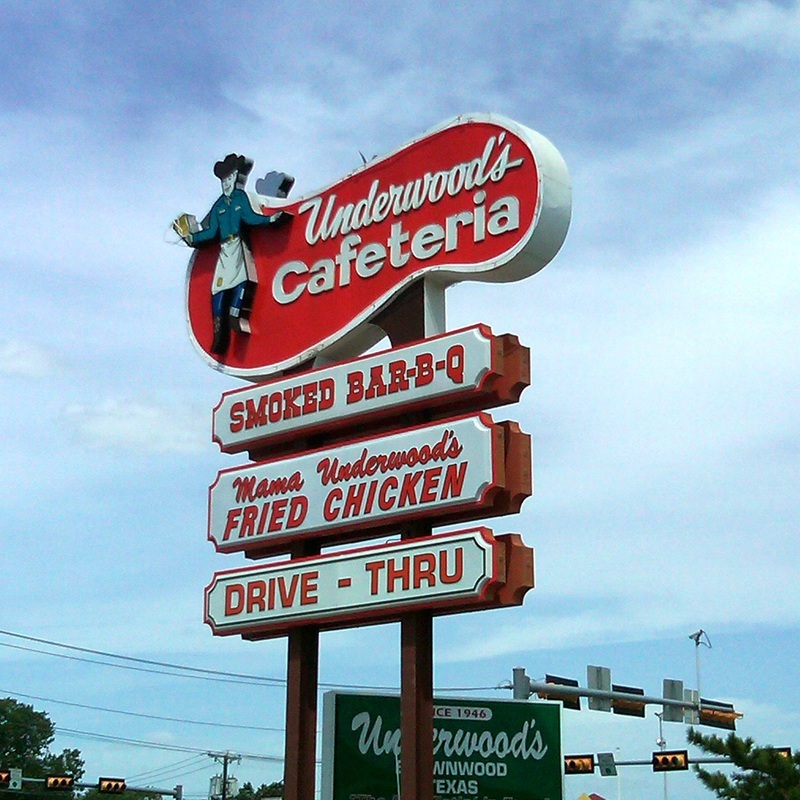 No visit to Brownwood would be complete without a stop at Underwood's Cafeteria. Dessert at Underwood's: peach cobbler and Blue Bell Homemade Vanilla!